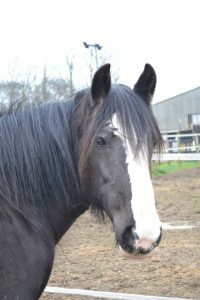 Bess – A 14 year old, 14.2 hands Welsh Section D Mare is very gentle, affectionate and loves her job. 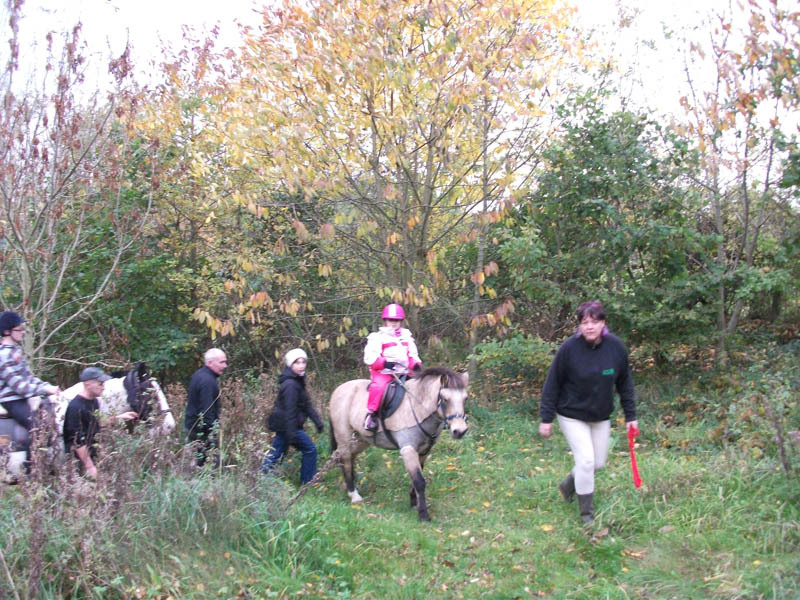 When she came to us as a 5 year old, she was a little unsure and we did wonder if she would ever settle into her routine with us. 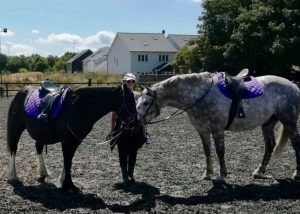 She is now giving confidence not only to her riders but to the other horses she is working with. She is easy to lead and is a beautiful gentle girl that just loves a cuddle and kiss. 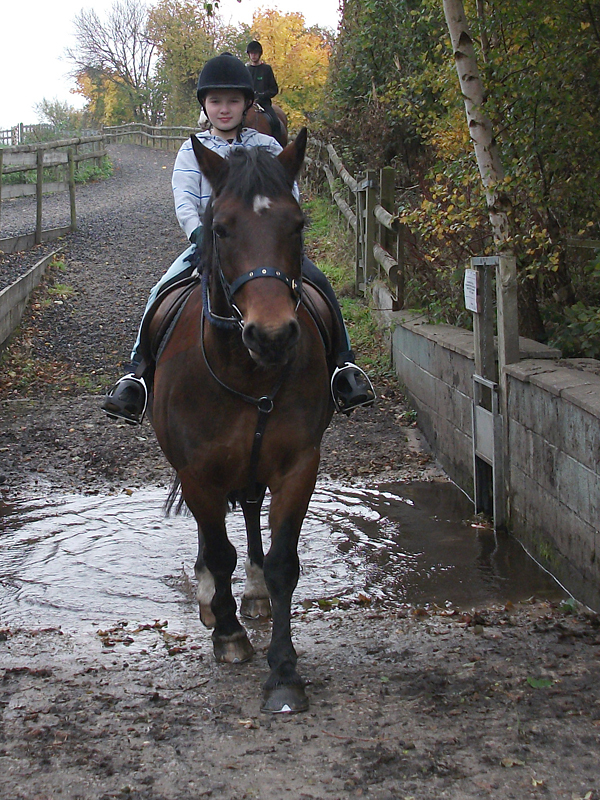 Delboy – 16.1 hh, 10 year old Irish Draught Gelding. 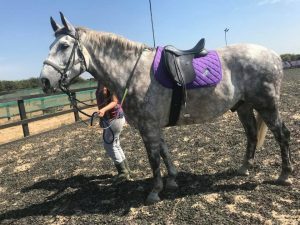 Came to us in July 2018 and is the perfect horse for some of our heavier riders. He is such a gentle giant. Sometimes gets impatient when standing still in the school but never moves at the block when riders are mounting. He loves Bess and will be with her in the field all the time, not letting anyone else near her. 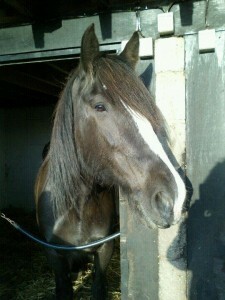 Gilly (nicknamed “Hamish” by one of our instructors) – 15hh, 16 year old Highland x Gelding. 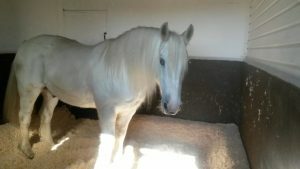 This handsome boy joined our group in October 2018 and is just a big cuddly horse. He loves to stand and be groomed and likes to lick you. Almost everyone thinks he is a magical unicorn that has lost his horn. 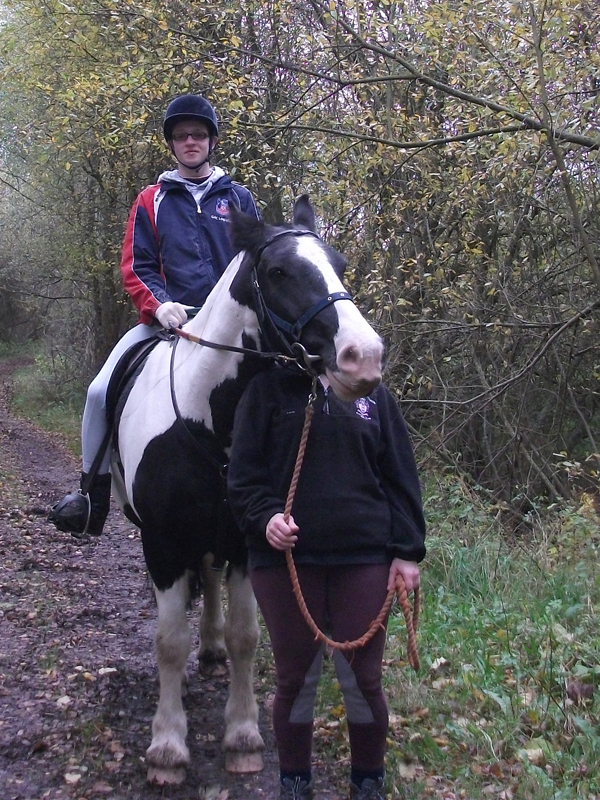 The first time he helped in a ride he was a little star and we are hoping his time with us will be magical too.